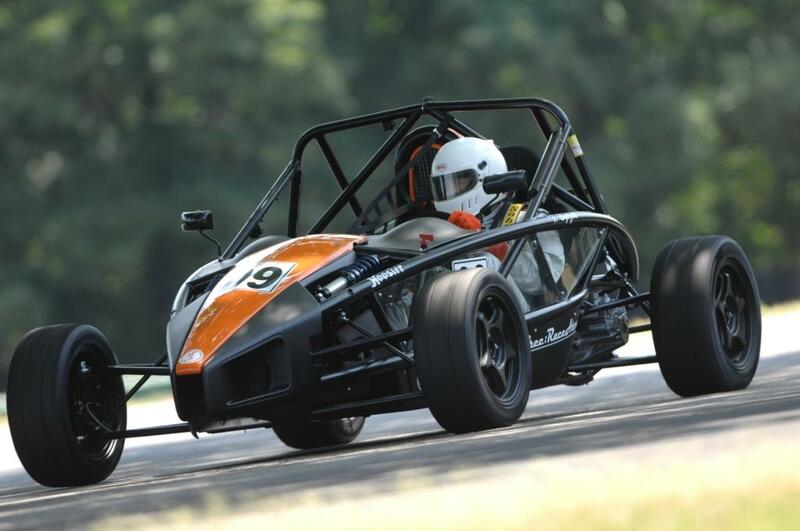 Home » Racing » The Ariel Atom Spec Racer: Get Your Track Day on! Ariel Atom Racer: Hit the Race Track! If you’re looking to get into racing, the Ariel Atom may be a great way to start. A fairly low cost, great power-to-weight ratio for a fun time, and a good looking package that’ll fit my 6’4″ frame! Check it out! 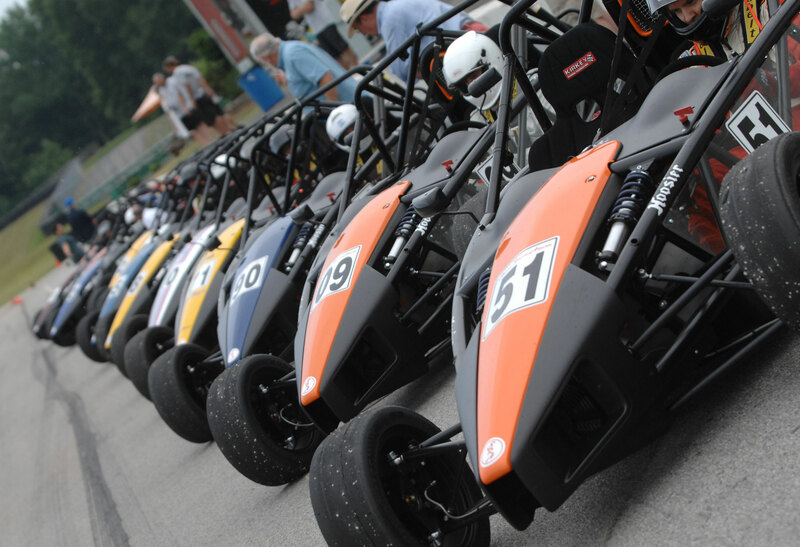 Alton, VA: Probably the most significant milestone in the past two years for Sportsman road racers, those who pay their own bills, is the introduction of the Spec:RaceAtom (SRA) which is a race-version based off the popular Ariel Atom 3 supercar. The Spec:RaceAtom (SRA) distinguishes itself in several extraordinary ways, not least by its unusual exoskeleton form. But its mesmerizingly rapid acceleration and its remarkable cornering power are attributes that need to be explored urgently. Weighing 1315lbs, the SRA is extraordinarily light and having its transversely mounted engine and transmission positioned over the rear wheels ensures massive traction. In steady-state cornering, the car generates remarkable g-forces, measuring 1.7 to 1.8g. In its power-to weight ratio the SRA exceeds many modern supercars. Constructed entirely by TMI AutoTech,Inc. at their base at Virginia International Raceway, the Spec:RaceAtom (SRA) accommodates drivers from 5ft 2in to 6ft 7in. It is powered by a naturally aspirated 2.4 liter 4-cylinder Honda engine, which generates 230hp at 6,500rpm and peak torque at 3,500rpm. When the Spec:RaceAtom was introduced, orders were secured for forty-five cars almost immediately. 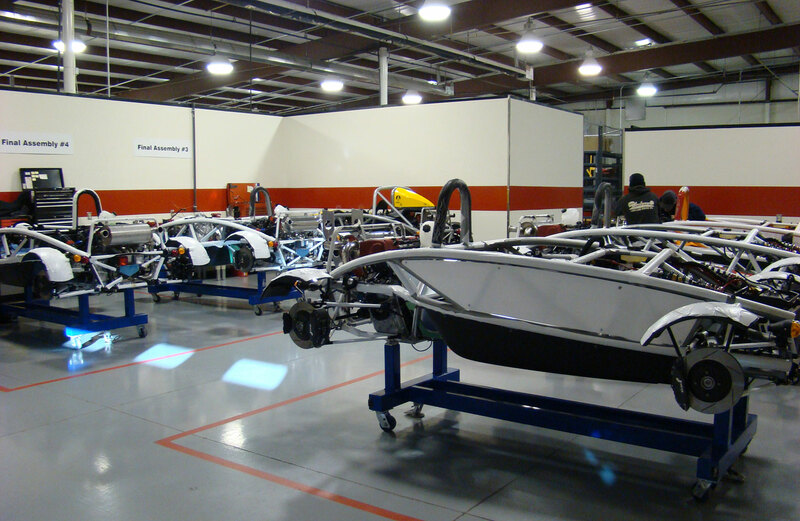 Initially the spec-racing program was planned for a 10-race series in the East, at VIR, but demand sparked another series in the West, at Spring Mountain Motorsports Ranch, Pahrump near Las Vegas, Nevada. Now the plan is to develop both series, culminating in the Atom Run-offs at season’s end. By any standard the icing on the cake is represented by the car’s value for money. A brand new, custom built, race-ready Spec:RaceAtom is $47,500. In addition its running costs are low. Fuel for four track sessions, for example, is around $50. Because the car is so lightweight a new set of tires can last up to 5 races, and brakes that cost $70 last a season. What could be more fun?